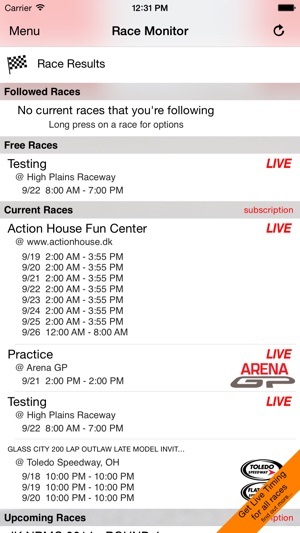 Race Monitor is now free to download and includes access to race results, and live timing for select races! 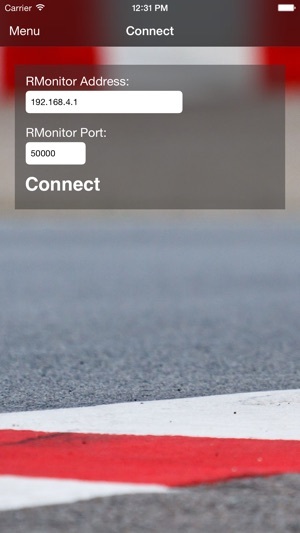 Race Monitor gives racers and spectators alike, the ability to view live timing from hundreds of races and tracks around the world over the internet, or you can view live timing directly from a MyLaps, Westhold, or MotoSponder timing system via the RMonitor protocol. 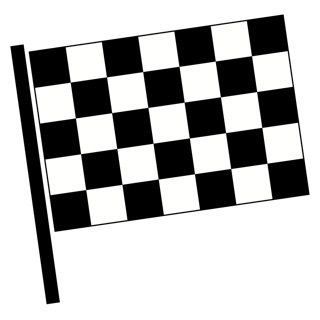 With Race Monitor's live timing, you can view racer lap times as they occur, group racers by category (if multiple classes are racing at the same time), and sort by race position or qualifying position. 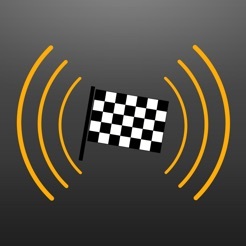 An in-app upgrade to Race Monitor Plus is available which will unlock additional features including a Heads Up Display for racers (includes historical lap times), and Racer Alerts to let you know when a racer you're following goes on track. 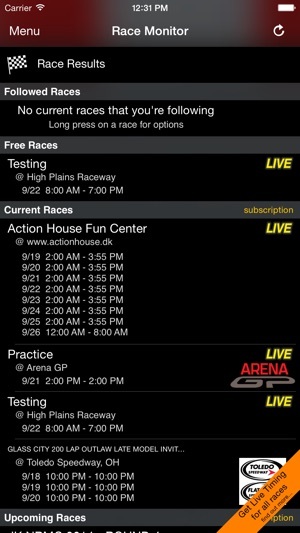 - A Live Timing subscription is required to view the live timing of most races. 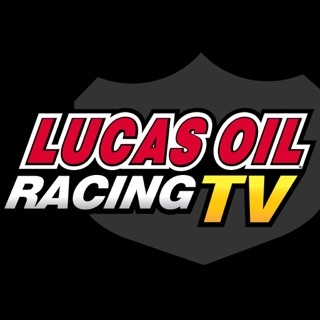 - Live Timing Subscriptions are available in either a monthly recurring subscription for $0.99 USD, or a recurring annual subscription for $4.99 USD. Prices may vary by country. - Your subscription is purchased using your iTunes account and can be used on additional iPhones/iPads/iPod Touches that you own. - Payments will be charged to your account at confirmation of purchase. - Your subscription will auto-renew unless auto-renewal is canceled at least 24 hours before the end of the current period. You may turn off auto-renewal at any time from your iTunes Account Settings. As the developer, I would pay attention to your reviews and identify user enhancements to make your product better versus attempting to defend an unreliable product. Defending the issues without making improvements to enhance the user experience is simply asking for for disappointment. There is a need for this type of service and I hope you can find the muscle to make it work. 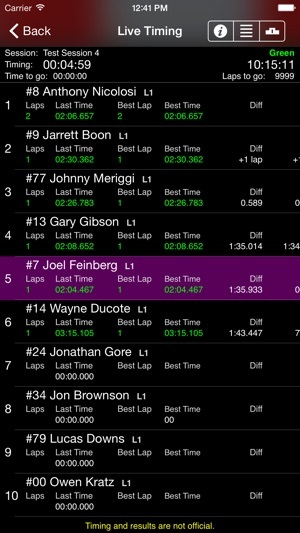 The free app is better than the $3.99 Race Monitor Plus. It’s rarely reliable and cannot pull up podium information. Difficult to navigate and should be easy to pull information. Stick with the free version as it provides better info. App works fair.... I had to pay for the “upgrade “ twice !!! Stopped working. Told me to restore the upgrade ... then said success, but didn’t work and told me to restore my upgrade again. Viscous circle. The only way I could get it working again ..... pay for the upgrade again ! Other than that I like what the app does.